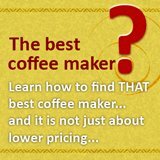 Buying coffee maker parts is cheaper? Coffee maker parts in theory, can prolonged the life span of your coffee maker, and that is of course, a cost saving measure. There are however a 3 things to note that would affect this cost savings. The first is the "prolonged" lifespan by getting these coffee maker parts, how long more would you be able to use the coffee maker after getting the parts. The rule of thumb is, if it can at the very least, last for one more year, than you should spent the money. However, unless you have many experiences with repairing coffee maker, if not, you would not be able to estimate how long the coffee maker can last till the next break down. No, this ebook would not be able to tell you if a francis francis espresso machine is better than the rest. 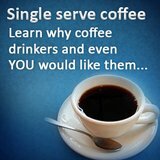 This is an ebook that runs through the properties of the different popular espresso drinks with simple instructions on how to prepare them. It is a basic guide and an easy read. Next would be the cost of the parts that are required to repair the coffee maker. 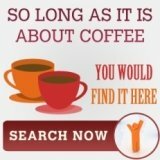 What is the cost in relation to a new coffee maker. Generally, if you are talking about espresso makers, and those that are in the thousand range, usually, the spare parts and repairing is a small percentage of the cost of a new machine. However, if you are talking about drip coffee maker, with some models costing less than $50, than getting the coffee maker parts for it might not be such a good deal. A thermal fuse for a filter drip coffee maker, plus shipping can easily cost $50, which would allow you to get a new coffee maker! Lastly, it would be the opportunity cost for repairing the coffee maker, if you need to disassemble to repair the coffee maker, search for the faulty parts, ordered it, then fix it back, the time spent might not be worth the while. The whole process highlighted above can easily take close to a day. Unless you are seeing this as an hobby and do not mind all these leg work, spending a day just to repair a coffee maker, is not a good way to enjoy your coffee! Moreover, not all the parts are easily available or can be accessed easily online, which means you would have to work around the shops looking for it, taking up more time. Reading until here, you would probably see that personally, I do not see buying coffee maker parts and repairing it as a cost saving measure, there are of course some exceptions. If you are buying carafes, water filter set or milk frothing tank, by all means, go ahead. These are parts that easy to locate, does not cost alot and can definitely brew you coffee for the next 3-6 months at the very least. The ease of looking for delonghi coffee maker parts is important, because with them, your delonghi coffee maker can last longer, saving your money. No matter how careful you are with your bunn coffee machine, you would still need to regularly purchase 2 bunn parts, so which are the two? You would probably see buying coffee shop supplies as something that need to be done to brew your coffee, the fact is these supplies would directly affect the coffee brew. Availability of spare parts for coffee machine is one area that people overlooked when shopping for their coffee makers and it is an important variable to ensure longevity of their brewers. Which Coffee Maker Cleaner is better? So, you might think that an expensive coffee maker cleaner might really help you to have an easier time when it comes to cleaning you coffee maker, but that might not be the case. How to Use Vinegar to Clean Your Coffee Maker? It is actually quite easy process and using commercial coffee maker cleaner would not be easier than using vinegar. Cuisinart charcoal water filter is a critical element for folks that wants to better their coffee. Having soft water is one important element for those wanting better cuppa! People these days look for unique coffee mug to give friends during special occasions, the only thing that makes a mug important is actually its thermal function. The cost of coffee machine repair. There are many reasons why people would want to go for a bunn coffee maker repair instead of buying a new bunn coffee machine, one of them is the sentimental value. Coffee urn parts is the reason to get West Bend? Bunn replacement part that cannot be found? So, where is the best place to look for braun coffee pot replacement or any other coffee maker parts? We all know online, but which sites? 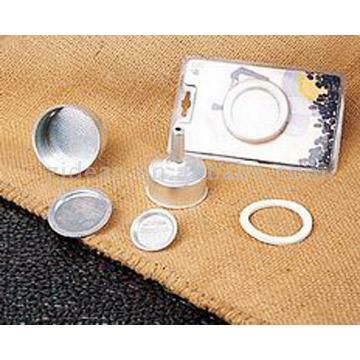 One GE coffee maker replacement parts that you would need. 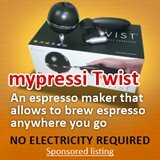 I do not make the stand on not recommending a coffee maker, but one particular ge coffee maker parts would definitely give you some issue, thus read this before buying a ge coffee maker. Espresso coffee tamper, any difference among them? This article is probably for very serious coffee lovers, those that still dose, tamp and brew their own espresso. Even then, do you know that your espresso coffee tamper can better your brew? A coffee grinders has many components, but this one coffee grinder part determines the price and of course the performance of a coffee grinder. One cannot imagine that a simple starbucks tumbler could contain so much technology. We know about starbucks coffee, we know the experience, but high technology in a tumbler? Have A Great Story About Coffee Maker Parts? What is an italian coffee maker?